Weave Waves brings together sound artist Scanner and textile designer Ismini Samanidou seen in the Sound Matters Exhibition at The Stanley Picker Gallery, Kingston University. 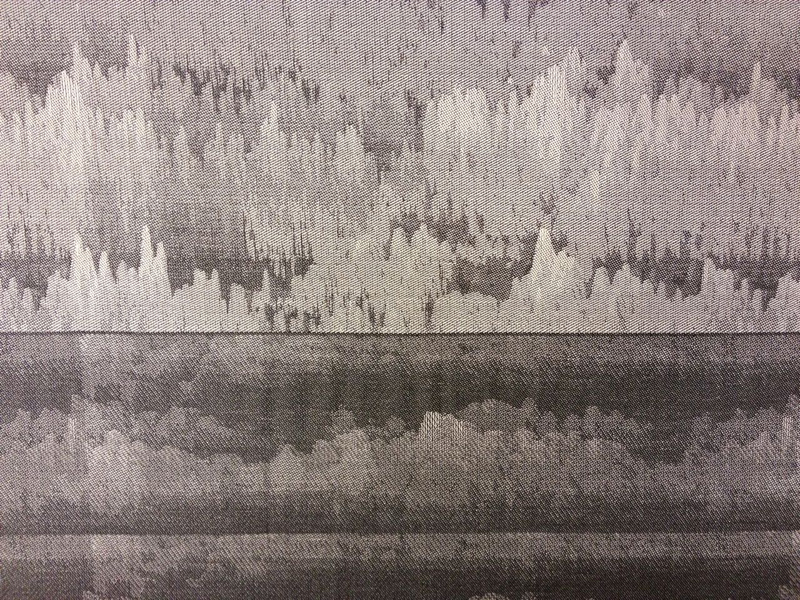 Scanner & Ismini are exploring sound, geography and mapping, code, place and scale through textiles and how this data relates to textile-weave structures and musical scores. The makers and artists represented in this exhibition demonstrate how an engagement with sound also implicates an engagement with matter. Drawn from across creative disciplines, each work is indicative of a different approach: looking to traditional craft heritage and processes such as weaving and wood turning to create new sound forms, playing with shared technologies and language and revealing the sounds of materials. With its equal emphasis on sound and form, Sound Matters offers a new and multi-sensory engagement with craft, with each work demanding to be heard as well as seen. With works of varying scale and volume, it is as important to listen as to look to fully experience the show. Sound Matters is produced by the Crafts Council with David Toop, Professor of Audio Culture and Improvisation at University of the Arts London, as curatorial adviser, and with exhibition design by Faudet-Harrison, Lecturers at Kingston University. This entry was posted on Sunday, October 27th, 2013 at 8:27 am	and is filed under Exhibitions, General, New weave developments. You can follow any comments to this entry through the RSS 2.0 feed. You can leave a comment, or trackback.